Taxi transfers from Podgorica airport to Pristina - Kosovo are not so often, but from time to time we have this requests. Pristina has several closer alternative airports like Skopje, Nis and Tirana what is main reason for not so big interest for a taxi from airport Podgorica to Pristina, Prizren, Pejë, Ferizaj, Gjakovë or other destination in Kosovo. As a professional and responsible association, we will cary out your transportation from any point in Montenegro to any address in Kosovo at any time you need. You can take advantage of multiple routes and make your journey as a day tour with a visit to the sights during the road. 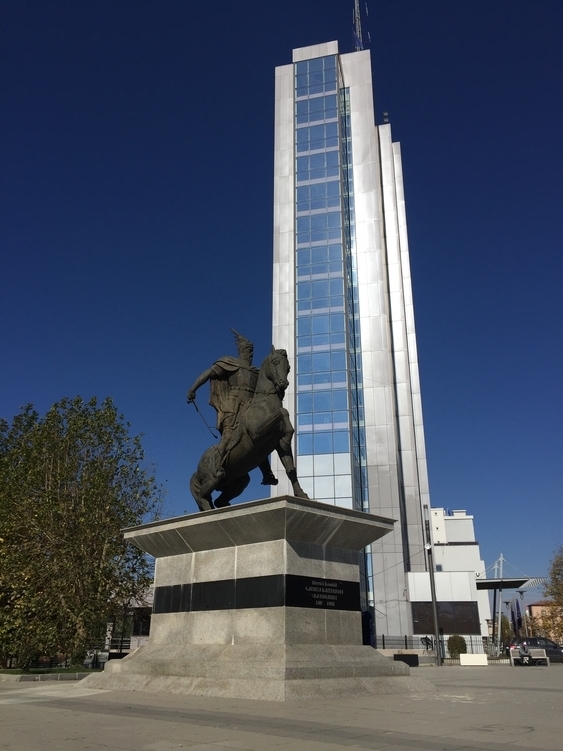 Transportation from airport Podgorica to Pristina in Kosovo Republic can be provided by road directly from Montenegro to Kosovo or via Albania or Serbia. Usually we are using road through Albania, which is the longest, but the most economical. More than a half of this trip you will enjoy in our comfortable cabs traveling by panoramic highway of northern Albania. Whichever road you choose, you will pay the same price for your ride. Taxi ride from Podgorica to Pristina cost always 200 € with all taxes, what is a price per one vehicle up to 4 persons. Special Kosovar entrance fee of 15 euros is included in the price. Travel distance from airport Podgorica to Pristina is 335 km using Albanian highway, and by other two roads it is about 310 km. Journey takes about 4 hours 30 minutes. If you are traveling from some other place in Montenegro to Kosovo, please contact us to get all necessary information about the travel route and price. Also don't forget that we are located in Podgorica, so you must schedule your ride at least a couple of hours in advance.